TravelToni is on the road for over 10 months now. We at Atagge are really concerned about his mental and physical condition. Toni at the start of his trip in Calgary back in February 2012 (left). 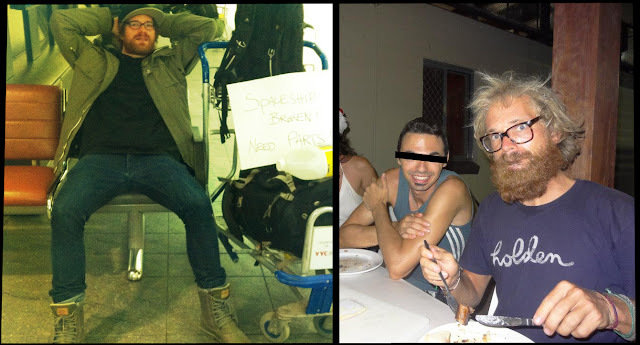 The right pic shows him and friends somewhere in Australia (January 2013).